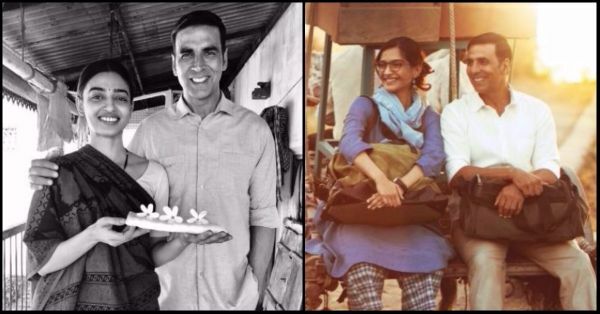 There has been quite a buzz on the internet surrounding R. Balki’s upcoming release, Padman, and a new Instagram post by Twinkle Khanna gives us a sneak peek into the sets of the movie and the characters portrayed by Akshay Kumar, Radhika Apte, and Sonam Kapoor. Khanna captioned the image: “a magnificent tale of determination and hope that will both entertain and educate- Period!” We’re guessing that pun was totally intended! Padman is based on the true-life story of Arunachalam Muruganantham, inventor of a low-cost sanitary pad making machine, and the man who raised awareness about the need for affordable sanitary products for menstruating women in India. Akshay Kumar has been on a success streak in Bollywood for quite a while now, especially with socially relevant and hard-hitting movies like Jolly LLB 2, and the much recent Toilet: Ek Prem Katha, both of which bring social issues to the forefront for discussion amongst the masses. Co-star Sonam Kapoor was all praises for the actor, who, she says “was the perfect person to play the role of Padman”. She also praised R. Balki’s vision of having made such a film possible. Reactions have already started pouring in after the release of the new stills, and Twitter is already applauding them. This is setting the bar quite high for the movie; with one user actually saying Padman “will definitely go to Oscars”! 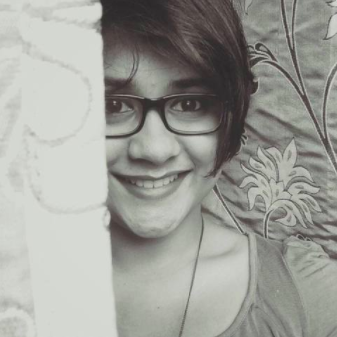 Will we finally have a movie that manages to crack, if not break, the social stigma around menstruation in our society? I guess, we have to wait and find out in theatres on Republic Day 2018!